I recently purchased a 6mm Mongoose barrel. Already owning it's bigger, little brother (.257 Ocelot), it was only natural that I got a Mongoose. (A pretty spiral fluted 22"). I want to give a big shout out to BIGGDAWG. I've been wanting a Mongoose with a target crown for the past couple years, but hadn't acquired one yet. 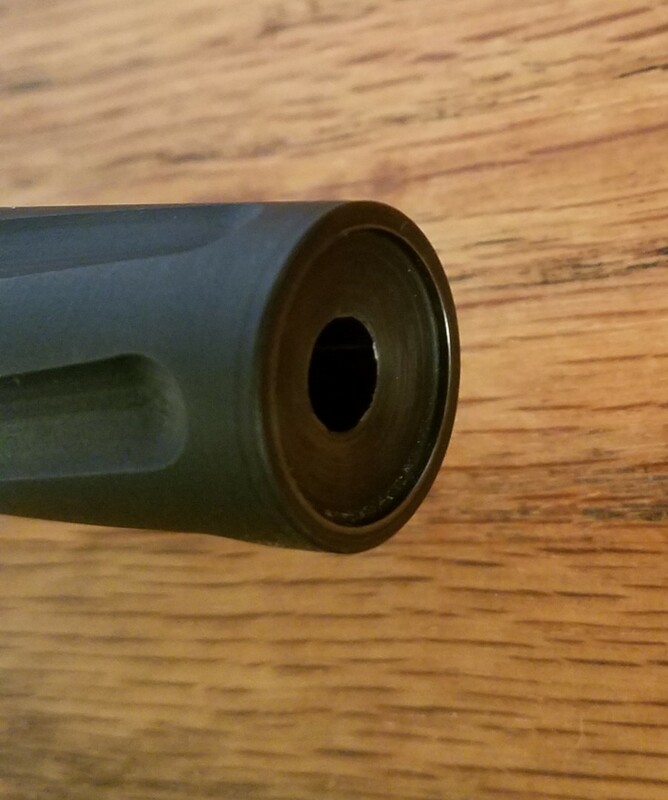 One quick message, and he said that he could make my 22" barrel into a 21.3xx" barrel with a recessed target crown. Game on! He did a bang up job and sent it to me within a couple days. Awesome service! Well today I had an ah ha moment! While previously making Ocelot brass I had to first chamfer and deburr, then size it, then trim about .050 off of each piece, then chamfer and deburr again before fire forming. What a pain!! The worst part of reloading (to me) has always been trimming. I despise it, but have a little OCD, so while working up loads I trim every time to keep brass uniform. Jump forward to today. For my WLV I use a ZEP case cutting jig mounted in a cheapy Harbour Freight mini cut off wheel. It works great. I decided to give it a try for the Mongoose. Use full length 5.56 cases. 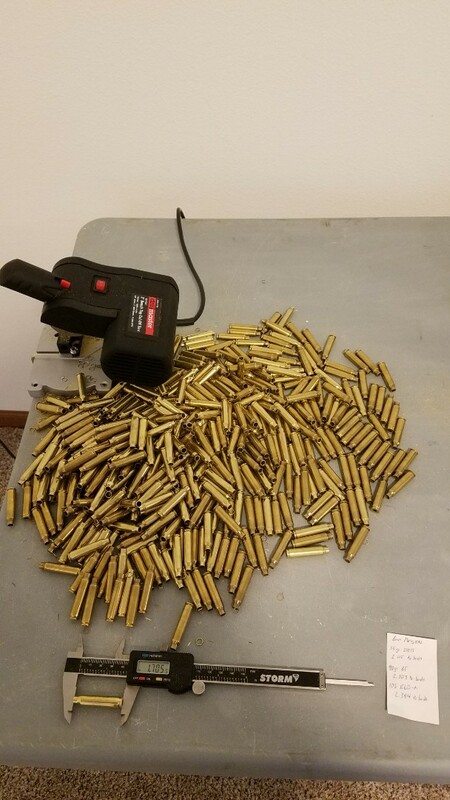 Cases should now be somewhere between 1.694-1.696"
I loaded up some cases with 55 gr. SHOTS seated to 2.112 OAL and 27.5 gr. H322 for function testing. Worked perfect. Now fire form. Cases will now come out to 1.691-1.693"
Trim if you want, or leave as is and work on fire formed loads! Here's what I accomplished in about an hour of work after getting the jig set up properly. You'll love the 'goose! It and the Ocelot will become quick friends and competitors for your attention! I was finally able to put the Mongoose through a quick course of fire..... And man, I have to say, I'm impressed so far! I did none of that with the Mongoose brass! I had only shot 8 rounds before this to function test (Without a scope, no less). Cleaned the barrel thoroughly before commencing activities (needs it again). The scope and mount was stolen off of my 257 Ocelot (for now). 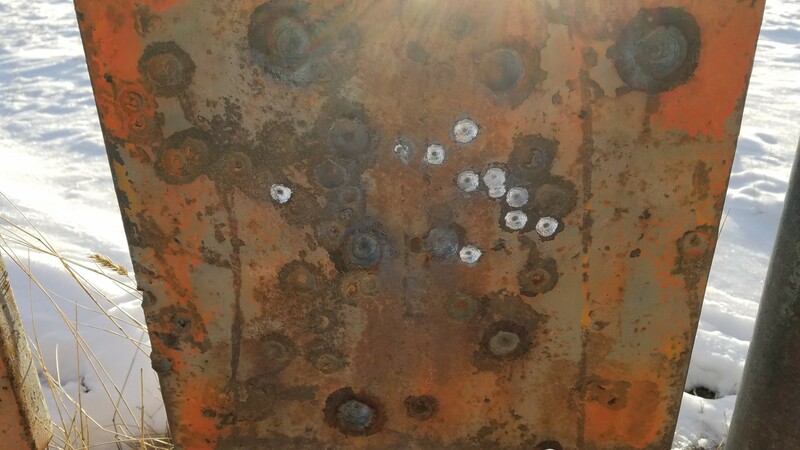 It was too snowy to shoot off of the shooting bench so I decided to go the the 600 yd range and just shoot off of the hood of the pickup. I took along my Caldwell Tackdriver bag (to keep the 30 rd mag off of the hood).. And that was it. 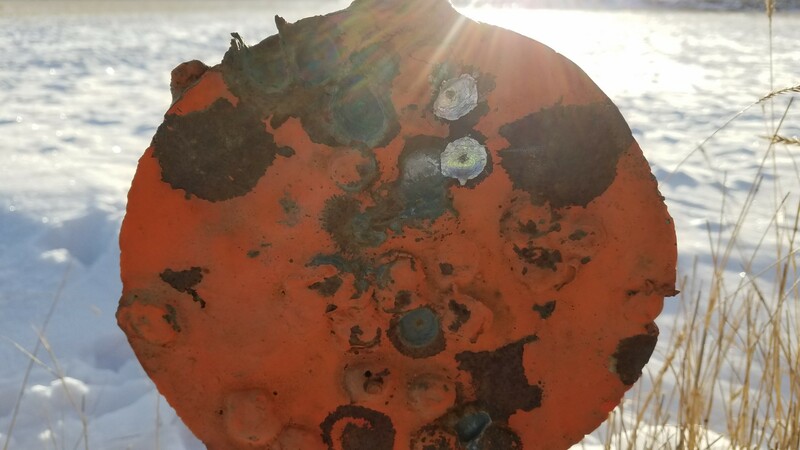 Sighted in a 100, then proceeded to blast one mostly full mag, and another partially full one at 100 yd 6" target as fast as I could acquire a sight picture. I usually never let a barrel get this warm, but what fun!! Then for shits and giggles I grabbed another mag, fired two at the 200 yd 6" target, hitting both. "Man I wish I would have thrown a 3rd on in there." A little under 1 inch for two shots. If you disregard the one to the left, there are 10 shots in a 3" by 3" group! Not bad for just blasting. I can't wait to actually do a proper shooting session. Needless to say, I think my quest for a fire-forming load is over! I don't care what the velocity is with this combo, it works! All of the cases were completely formed and with accuracy like this, I have no need to look further. Now to load up the rest of the cases I have made, and go blast another day! All I did was find loads that have been used before with success. Thanks to everyone that has made the load data for this cartridge. This was the easiest load work up I've ever done! This forum is awesome. Keep up the good work, guys! the goose is a shooter everyone should have one. love my 3 but then again i love all my rifles. no better time then now with the sale going on.